These programs offer you an easy way of producing time lapse movies with digital cameras or a webcam. Here are some recommended software applications for this task. 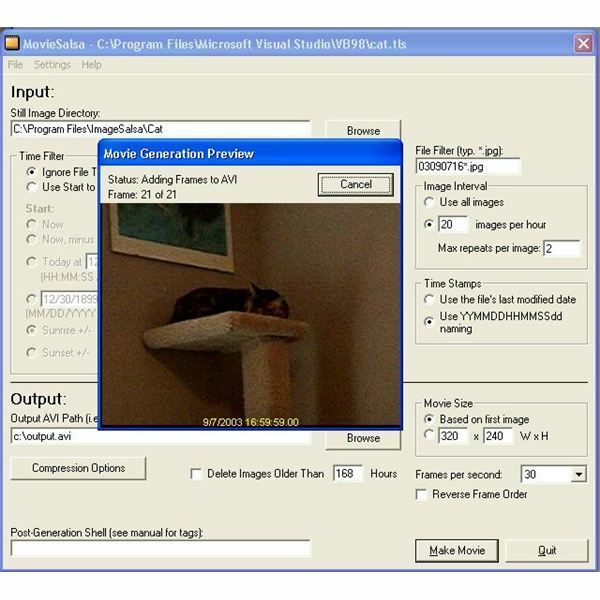 This piece of software lets you turn a sequence of still images into a time lapse video. You can set the frame rate and the interval of images you want to use. It can handle an unlimited number of images as long as you have all of those images in one folder and they are numbered in sequence. 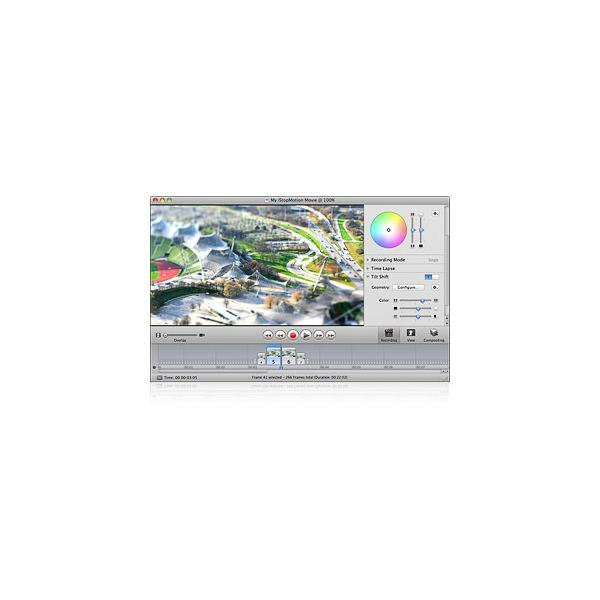 Keep in mind that this software only does the animation of the images to produce a time lapse video. It does not capture the images so you are required to have the images ready and in sequence before you use this application. Luckily for you, digital cameras save images in numbered sequence so all you have to do is to transfer the images inside a folder and you will be ready to use this application. This software is free to download and use. 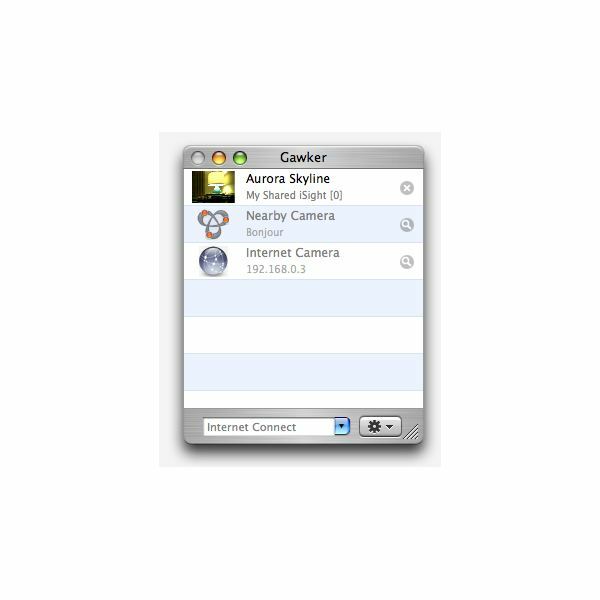 This is an application for the Mac OS X platform that uses your webcam to capture images and produce time laps videos. It can also be used to share the images with other users so the stream of images will not just be recorded by you, but other users can also record them for their own use. You can even use more than one camera to capture images, which means you can use multiple camera feeds and put them side by side in one window. You can use up to 4 of them at the same time. You can download it for free. This application captures still images and records it directly into an AVI video file. 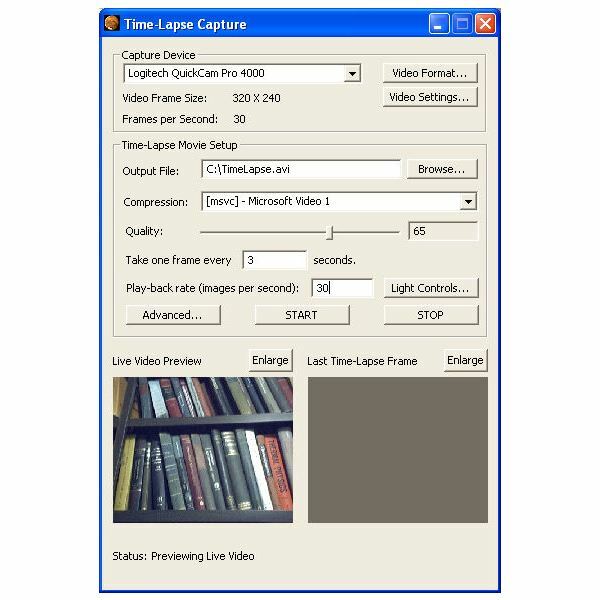 You can set the interval of image capture, the quality of images, the compression and the frame rate of the video file. You can view the live video preview right on the simple user interface that gives you an easy and quick experience in adjusting the controls. You can buy this powerful yet easy to use software for $39.95. This is another advanced time lapse movie maker that can be controlled using a user interface or a command line. You can download a demo version for free but it has restrictions like a 50-image limit per movie, a fixed frame rate of 10 frames per second and the command line is not available. All the other settings can be adjusted using the demo version. If you want all the features available to you, you can purchase the full version for $19.95. This application is first and foremost an application for producing stop motion animation. 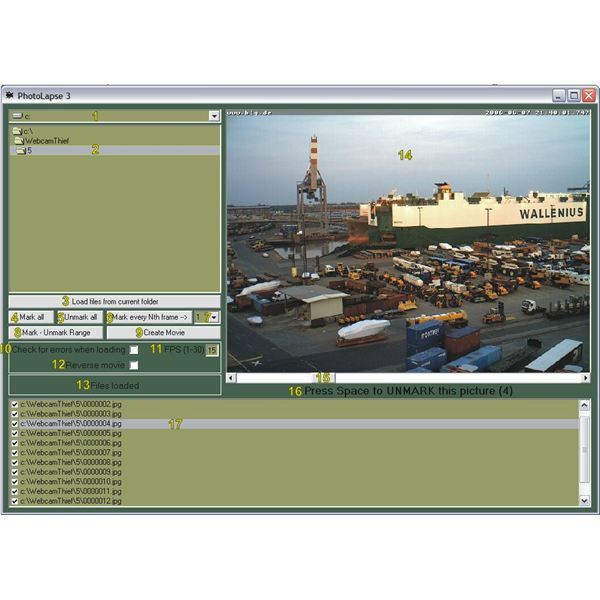 However, it also has features that let you produce time lapse animation using still images. It includes filters and effects that you can apply to your time lapse movies to give them the kind of look and feel you are aiming for. For more time lapse effects, transitions and even sound effects, you can export your video to iMovie thanks to this application’s direct integration with that software. You can buy it for $49. These are a mix of time lapse photography software applications that are free and paid. Whether you are just looking for a simple way to make time lapse movies or if you want to produce artistic and beautiful time lapse clips.